Sprouts Farmers Market is now open at 1000 South Broad Street. Photograph by Caroline Cunningham. Heaven is a place on earth, and it’s called Sprouts Farmers Market. 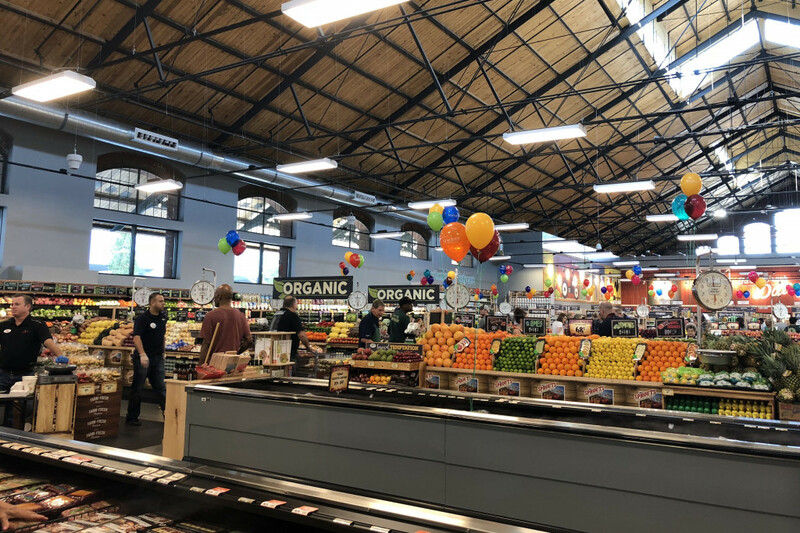 Look, take it from someone who loves grocery stores: This is one of the best we’ve ever been in. Related: I Bought the Same Food at 4 Different Philly Grocery Stores. Here’s How Much I Spent at Each. 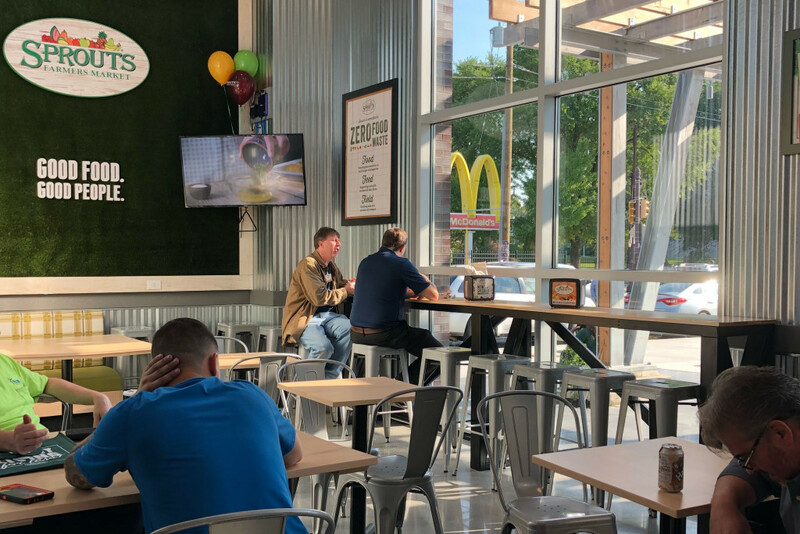 Not only is the store heavy on the healthy organic products and on giving back to the community through their food rescue programs, but they also have some seriously slick amenities inside. 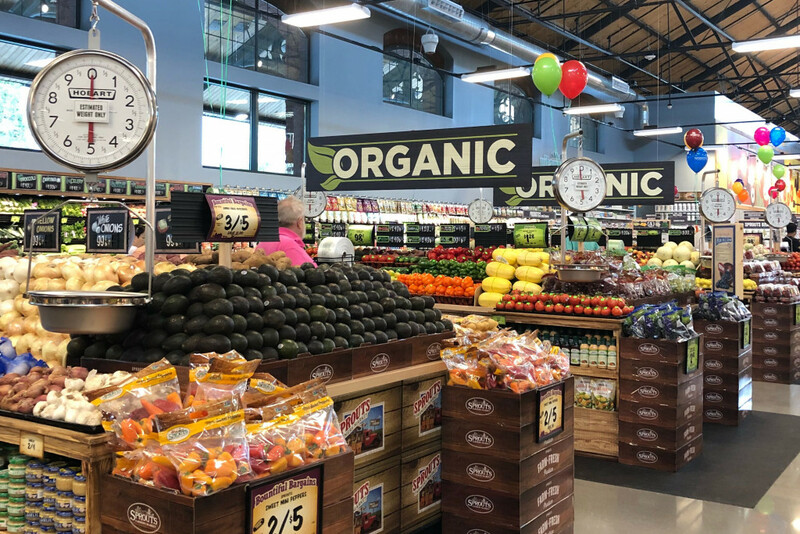 Now that the brand new Sprouts Farmers Market is open in Philadelphia at 1000 South Broad Street, we had a chance to get a tour with Sprouts spokesperson Diego Romero. Here’s what we learned inside. You can ask Sprouts Farmers Market employees to let you sample anything in the store. Photograph by Caroline Cunningham. According to Romero, Sprouts team members are all encouraged to allow shoppers to taste-test products. 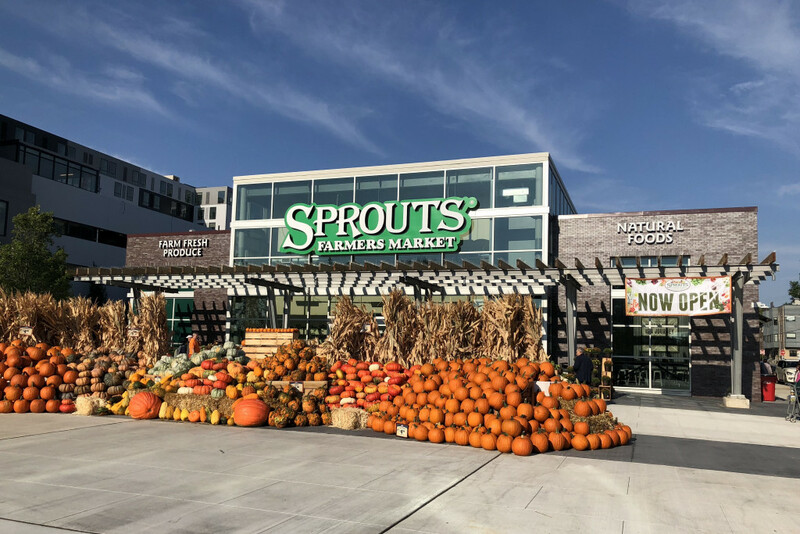 This is one part of Sprouts’ commitment to helping people eat healthier by allowing them to experience new foods they might not buy for fear of not enjoying them. In order to get shoppers to try new healthy foods, Sprouts employees will happily crack open a package for you. Sprouts also allows the return of food items for the same reason. Double ad Wednesdays are good reason to hit up Sprouts Farmers Market mid-week. Photograph by Caroline Cunningham. Yeah, the middle of the week may seem like a random day to pick up groceries, but according to Romero, a little thing called “double ad Wednesdays” makes it worth your while. Wednesdays are the one day of the week that the previous week’s and the following week’s specials overlap, which means twice as many products are on sale. Oh, and speaking of sales, according to Romero, about a third of the store is always discounted. Woo! Don’t expect a lot of big name brands at Sprouts Farmers Market. Photograph by Caroline Cunningham. Sorry, Cheerios fans, but you won’t find any of the classic General Mills brand here. 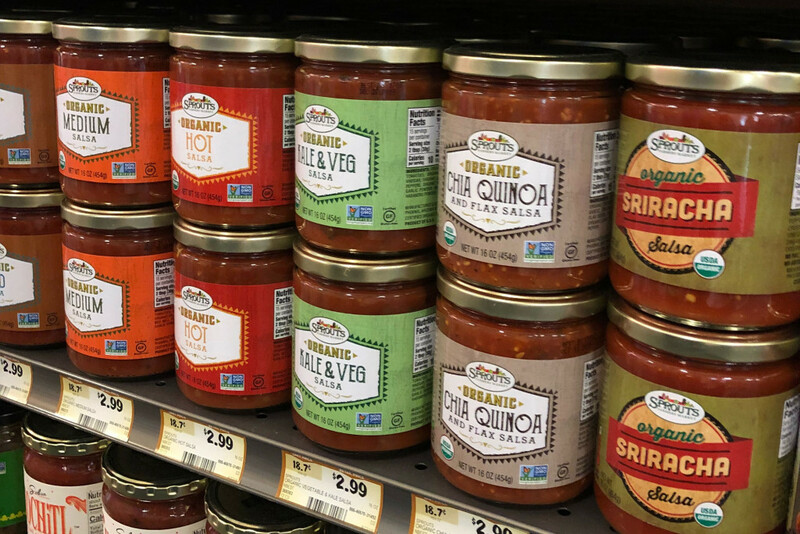 According to Romero, Sprouts doesn’t stock much of the big name brands you’d find at most grocery stores and instead fills their shelves with niche organic, sustainable, or all-natural labels. 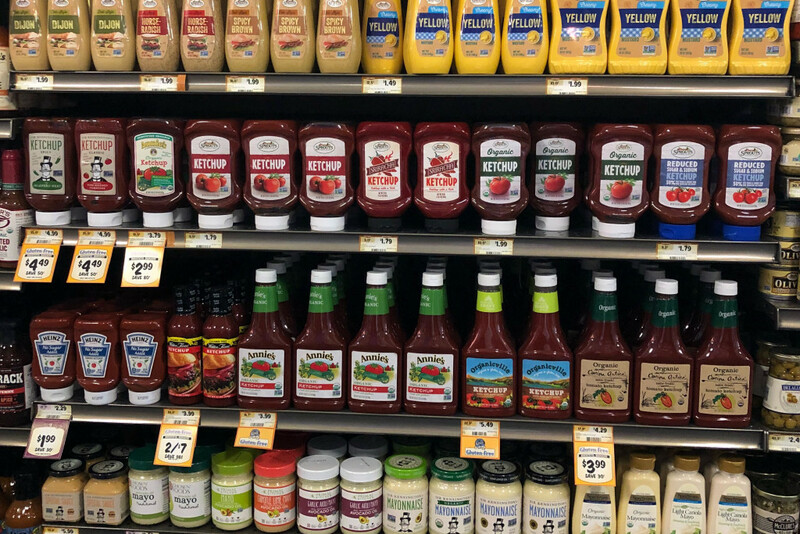 And while they do carry Heinz ketchup, it’s only the no-sugar-added variety — the rest of the ketchup offerings include brands like Annie’s and Sir Kensington’s. Sprouts Farmers Market makes a lot of its own products as well. Photograph by Caroline Cunningham. Sprouts makes a lot of its own products, and according to Romero, “innovation” is the name of the game. That means they like taking fun twists on classic products to produce their own, like their sriracha ketchup or their chia quinoa salsa. There’s a cafe with wifi at Sprouts Farmers Market. Photograph by Caroline Cunningham. Up in the front right corner of the building is a small seating area by the windows. There, you can pull up a chair, hop on the wifi, and get some work done — you know, like it’s a coffee shop, not a grocery store. 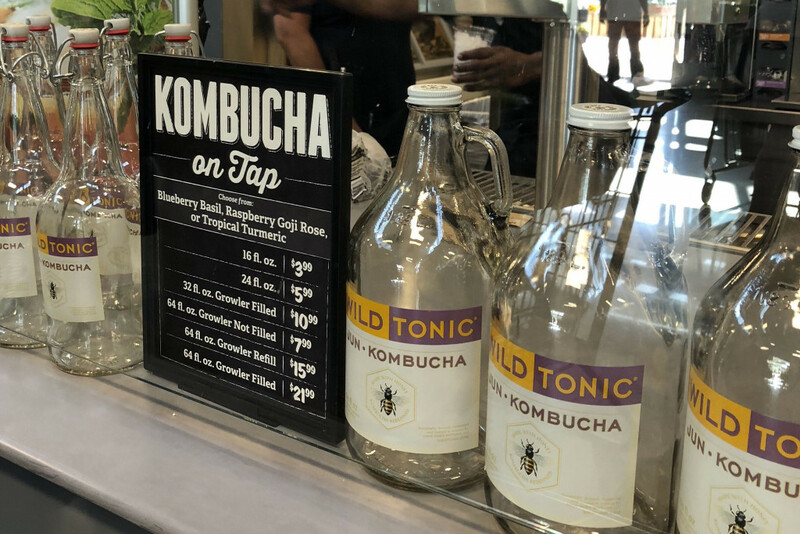 You can drink on-tap kombucha while you’re at Sprouts Farmers Market. Photograph by Caroline Cunningham. Although, Sprouts basically is a coffee shop. There’s a coffee bar — with nitro cold brew on tap — that also serves fresh juices and on-tap Wild Tonic kombucha that you can take home in — wait for it — a big ol’ growler. You’ll find plenty of vegan-friendly products at Sprouts Farmers Market. Photograph by Caroline Cunningham. 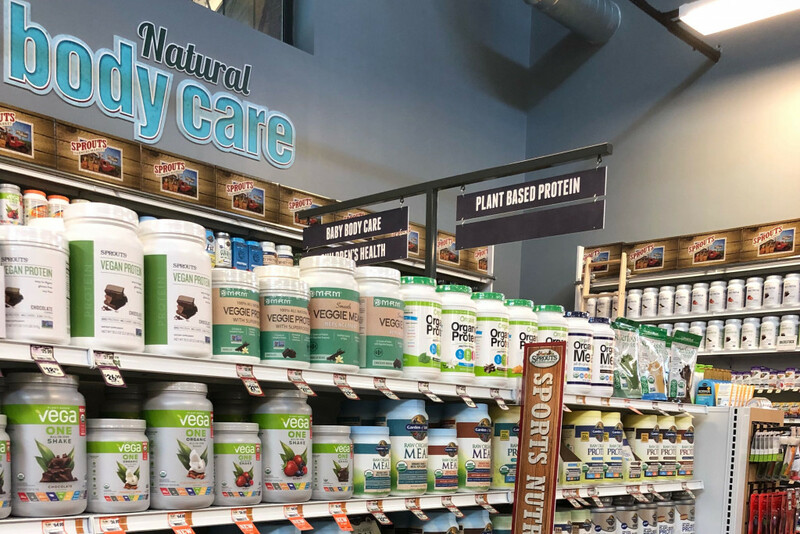 There’s an entire shelf in the supplements section devoted to plant-based protein powders, two cases in the refrigerated section for vegan meats and cheeses, and there’s a whole slew of gluten-free, dairy-free, and meatless frozen pizzas — and that’s just what we spotted during a quick stroll through. There’s an in-house butcher at Sprouts Farmers Market. Photograph by Caroline Cunningham. If you’re more into the paleo and keto lifestyle, Sprouts has got your meat needs covered. Should you be interested in a unique cut or seasoned meat, you can put the in-house butcher to work. 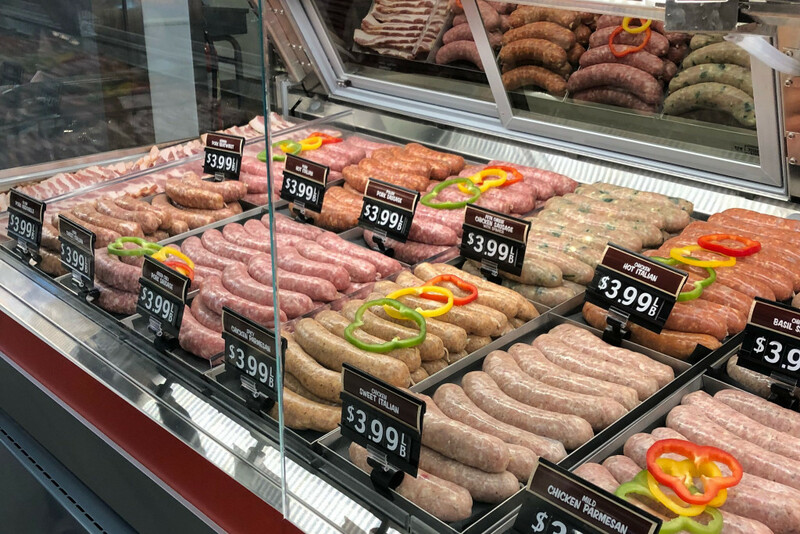 Or, pick up some of their homemade sausages, made fresh daily, while all of their chicken, beef, and pork is sold fresh, never frozen. There’s a ton of bulk options at Sprouts Farmers Market. Photograph by Caroline Cunningham. 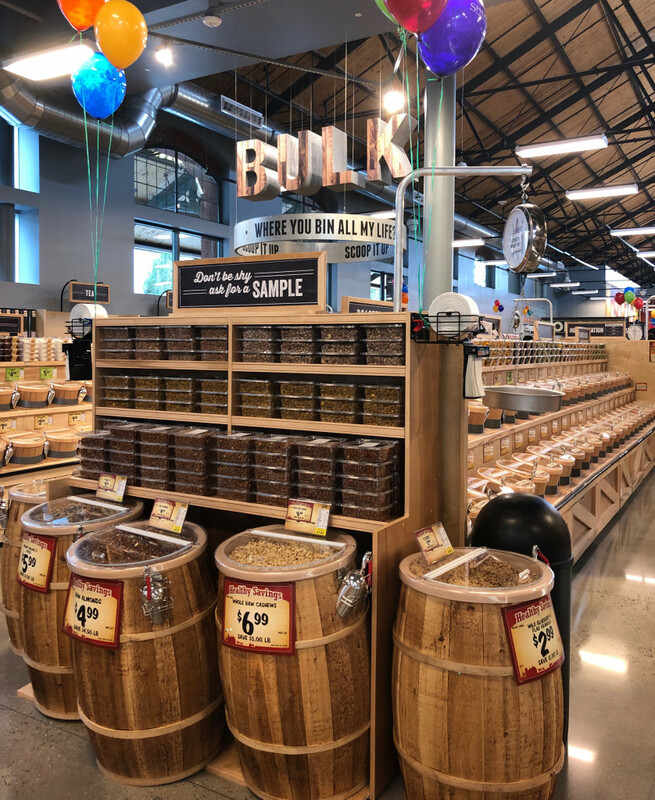 While most bulk sections will have an assortment of nuts and grains, there are multiple aisles devoted to bulk bins at Sprouts, filled with everything from Himalayan sea salt to trail mix to multiple varieties of granola. Oh, and if you don’t want to use a plastic bag, they’ve also got glass jars for sale that you use to take your bulk foods home. Sprouts Farmers Market is now open at 1000 South Broad Street.